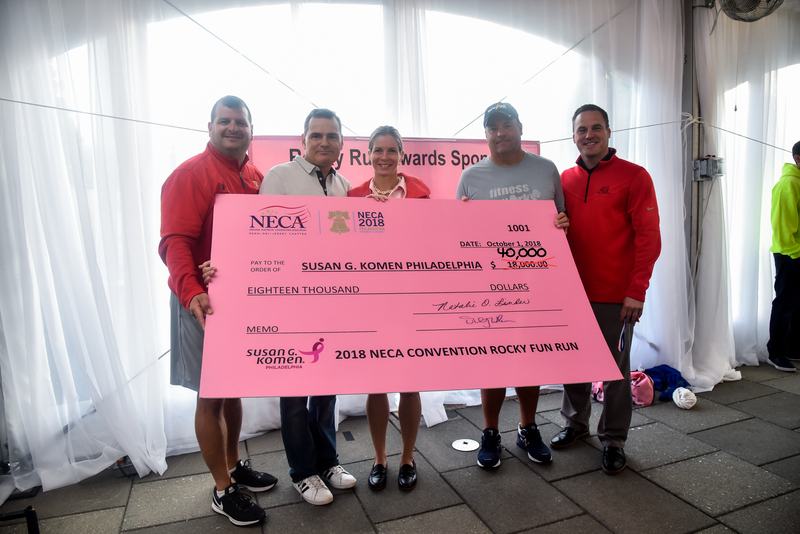 On Monday, October 1st more than 300 runners and walkers participated in a sold out 5k and one mile walk and raised $40,000 for the Susan G. Komen Foundation and breast cancer research. A special thank you to IBEW Local 98 who matched a $20,000 donation to the Susan G. Komen Foundation! The Rocky Fun Run turned out to be a great success.